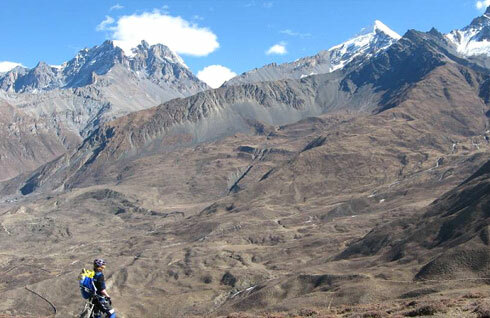 One of the toughest and most challenging mountain bike tours in the world,more like an expedition, this biking journey takes you right around the Annapurna Massif and up and over the Thorangla Pass at 5416 mtrs.This route is used for the internationally acclaimed YAK ATTACK Mountain bike race. A fully supported biking trip. Day 04: Bike Besisahar to Jagat 1300m, ridable. Day 15: Stay in Pokhara. Explore around. Day 18: As per the flight schedule, transfer to airport and fly on to next your onward destination.